or perhaps Frankenstein’s laboratory for devices with names. And thus my life support vanishes..
Books and stories trapped in a hull of hope…. And I realized how very attached I am to it all…..
All speaking to me of belonging. 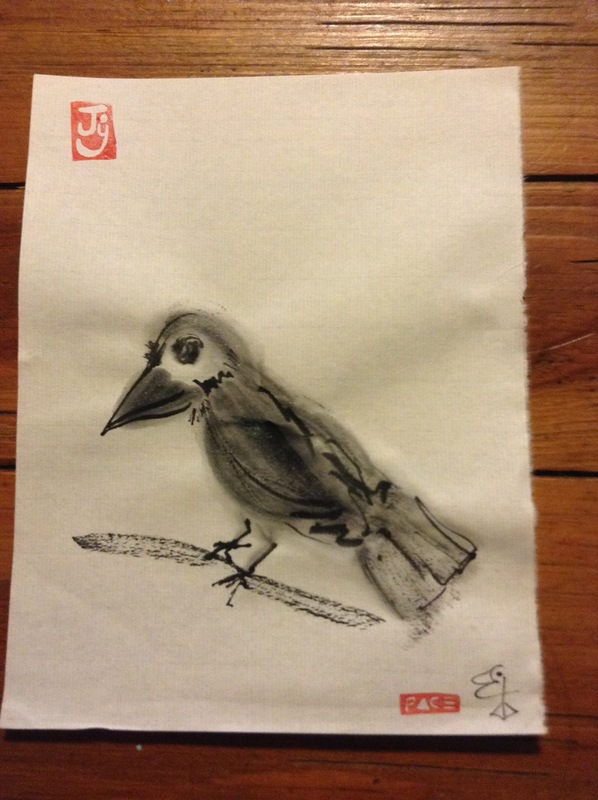 This entry was posted in Uncategorized and tagged birds, caws, computer crashes, crows, data recovery, elizabeth teal, hope, ink brush painting, Liz Teal, poem, Poetry, salvation, sumi-e, tech issues. Bookmark the permalink. Years ago, there were no cell phones or I-pads (etc. ), and no such thing as access to the ‘worldwide web.’ But now there is a feeling of loss…..when a question has to remain unanswered because the internet is down, or the battery went dead on the phone, or the computer comes down with a virus. I have had the hard drive crash before too, and I lost all of my photos..I thought they were gone forever…until my husband managed to resurrect the drive long enough to retrieve most of them. Now he has a backup connected to my computer, but I just got a message that it is 90 percent full. AND I don’t know how to fix that problem either. How did life get so complicated? ?